If you have experience with Siemens then please contribute. Submitted by abbass (not verified) on Fri, 2008-10-03 05:47. HI,why a PLC have systemfault(SF)? Submitted by benny rusadi (not verified) on Mon, 2008-10-27 09:03. PLC is a hardware which is run driven by program. Internally to make PLC run it needs internal program which is called a "Firmware". Firmware is a basic program which the PLC hardware can execute directly. Then the firmware read the program (which is made by PLC Programmer) then execute it. Submitted by Anonymous (not verified) on Thu, 2009-01-22 01:03. Submitted by Johan (not verified) on Wed, 2009-01-21 00:29.
a question. Can the PLC programme run on Vista. Submitted by Anonymous (not verified) on Mon, 2009-02-02 05:40.
just download step7 v5.4 SP3.1 from Siemens site. Submitted by Anonymous (not verified) on Tue, 2009-06-09 05:37. Submitted by Anonymous (not verified) on Tue, 2012-01-03 05:04. If possible send screen shot so that it is easy to diagonise the problem. Submitted by nafeez (not verified) on Sat, 2009-02-07 14:48. Submitted by M.Aziz (not verified) on Sat, 2009-03-07 02:53.
yes u can run plc program in vista but u have to install software. Submitted by raffi (not verified) on Sat, 2011-08-06 04:35. Submitted by Anonymous (not verified) on Fri, 2011-10-14 05:11. Submitted by ghets (not verified) on Tue, 2009-06-09 20:15. Submitted by brent (not verified) on Sun, 2009-07-26 02:54. HI guys, please can you help me for my project, I have a project case study using timer sequence for S7-200 and LOGO please could you email me so I can send the case study. please guys help me and many thanks. Submitted by brent (not verified) on Sun, 2009-07-26 08:02.
hi guys whats up!!! 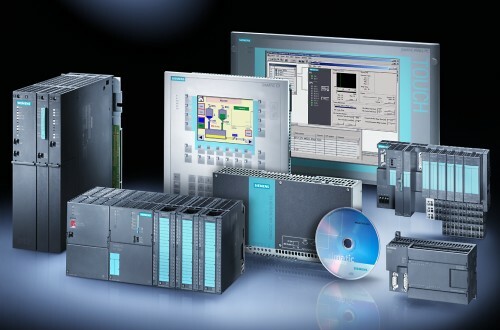 can you help me to provide more sample applications using s7-200 Siemens plc. Thanks. Submitted by hardik (not verified) on Fri, 2010-01-01 00:39. Submitted by Glenn (not verified) on Mon, 2010-02-15 21:38. I have purchased a new PC running with Windows 7 and I want to install the Step7 5.4 SP2 software. I have a seperate update of SP3 and SP4 software that I plan to install after the first complete installation. However, I am having a problem on the first due to the OS incompatibility. Can anybody assist me on how to do it properly? Submitted by henk (not verified) on Thu, 2010-02-18 12:07. Submitted by Anonymous (not verified) on Wed, 2010-03-10 12:02. Submitted by Anonymous (not verified) on Thu, 2010-07-15 21:10.
you need windows xp professional. os. Submitted by Hemachand (not verified) on Wed, 2010-03-03 13:08. Submitted by Anonymous (not verified) on Tue, 2010-03-23 08:51. Submitted by bob (not verified) on Wed, 2010-06-09 11:47.
e.g from a pc in one location to a machine in another. Which kind of computer do you recommend my? Submitted by Anonymous (not verified) on Fri, 2010-10-08 19:12. HP - Factory-Refurbished Laptop / IntelÂ® PentiumÂ® Processor / 15.6" Display / 4GB Memory / 320GB Hard Drive - Black for $500.In this laptop iÂ´d like to install visual basic.net,simatic Step 7,the hardware of omron,beckhoff and stuff like this. -Do you thing that this computer in gonna have enough capacity to support this kind of hardwares? -Do youn think that I need to buy HP windows 7 professional? -Which kind of computer do you recommend my?It doesnÂ´t matter if it is not HP. Submitted by Tim Young on Tue, 2010-10-12 15:29. That setup sounds good. If you are going to be using Windows 7 then I would recommend the Professional version. Submitted by Anonymous (not verified) on Thu, 2010-10-14 09:41. Step 7, as I know, is not running yet on Windows 7. Sombody is using Virtual PC under W7 and instal on them windows XP and Step 7. I asked for notebook with possibility to downgrade to WinXP Prof.(I dont like Windows Vista). And I installed Win XP and on them Step 7. Im not happy with the solution but I need it. Submitted by Anonymous (not verified) on Mon, 2010-12-13 06:14. I dont know how to connect the s7-300 station to the p-t-p connection in step7 , I use DC341 interface to establish the modbus connection but in newtork view it does not show the DC341 card .It only shows the s7-300 station and it doesn not connect to p-t-p . Submitted by Rooni (not verified) on Sat, 2011-02-26 00:36. Good post. Iâ€™m been looking for topics as interesting as this. i really liked reading your blog ehich has provided a great information about the Siemens SIMATIC programmer's handbook,I am very interested in programming a Siemens PLC and this hand book will be very beneficial for me.thanks for it. Submitted by Anonymous (not verified) on Fri, 2011-04-15 22:46. I clicked on the tool bar and no when it opens all you can see is the X You cant see any of the tool bar icons. Anyone know how to correct this? Submitted by Jensen VM9414 (not verified) on Wed, 2011-06-08 08:25. Your books really very helpful for programing. Now i enjoyed my work by using these books. If any one need success in programing just read these books. Submitted by Anonymous (not verified) on Mon, 2011-06-27 15:58. If you are looking for work and are good with programming Siemens 7, call Kelly at 616.974.3506. It is a first shift opportunity and it is located on the west side of Michigan. Submitted by Anonymous (not verified) on Wed, 2011-07-20 10:02. Submitted by kvgr on Thu, 2011-10-13 13:30. Submitted by shafeek on Tue, 2012-01-03 21:35. Submitted by Anonymous (not verified) on Tue, 2012-02-21 15:56. I am working with a milling machine and we are setting up a spindle unit changer. The acceptable position to do something is set on the HMI as a GUD. How do I call those values into the PLC functions in order to do some logic with them? Submitted by Tudor (not verified) on Wed, 2012-07-11 11:46. Submitted by sriramsureshaa on Fri, 2012-09-21 07:20. Submitted by Anonymous (not verified) on Tue, 2012-10-16 05:02.